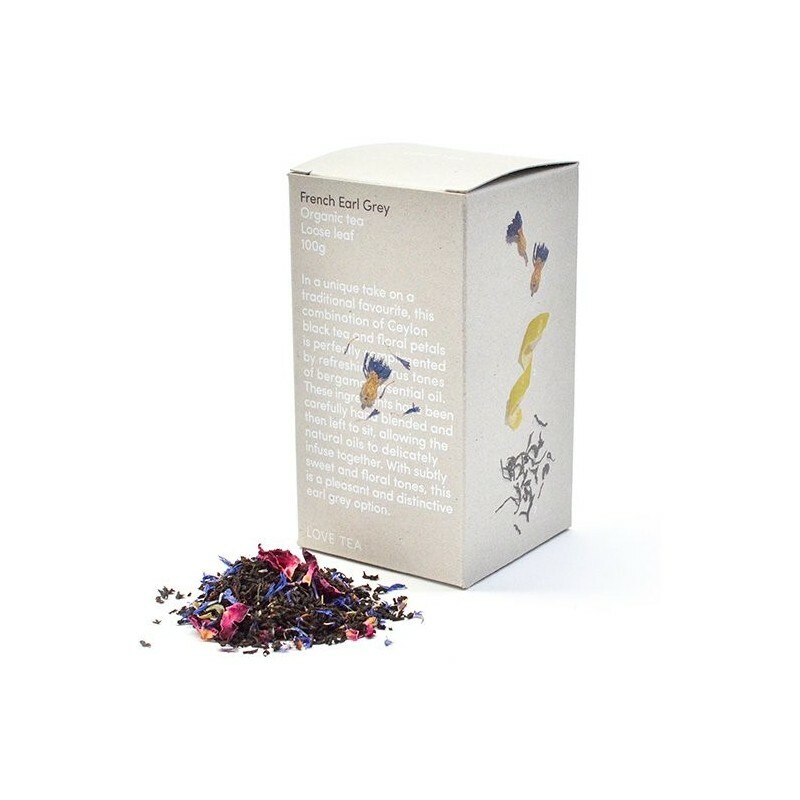 An organic and fair trade loose leaf Ceylon black tea, deliciously infused with rose, cornflower and bergamot essential oils. Full of subtle and sweet floral tones. A great distinctive flavour and a unique spin on a traditional favourite. 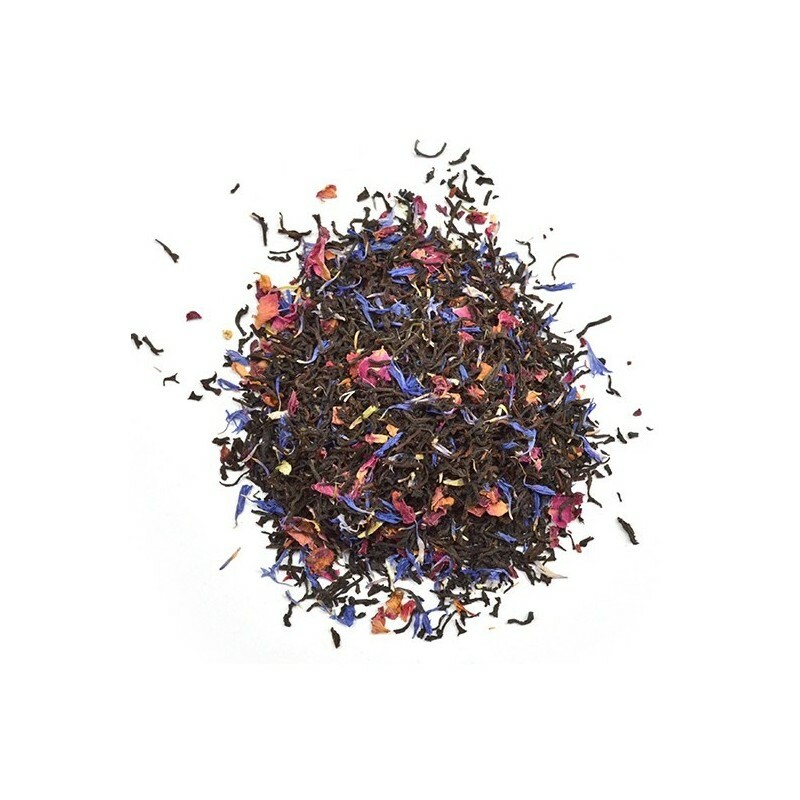 100g of loose leaf tea. Highest quality Ceylon black tea. 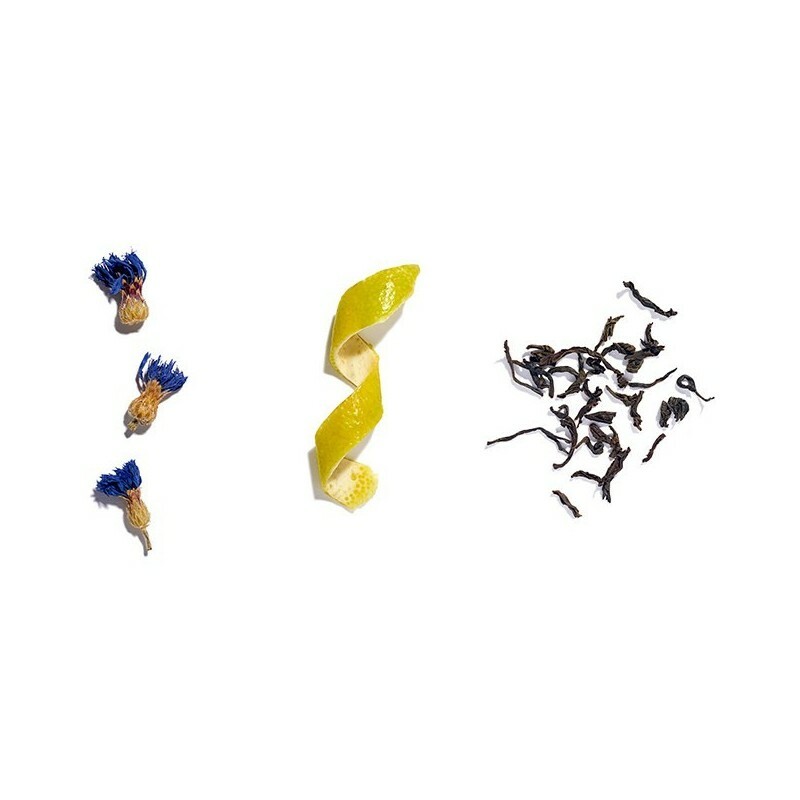 These ingredients have been carefully hand blended and then left to sit, allowing the natural oils to delicately infuse together. 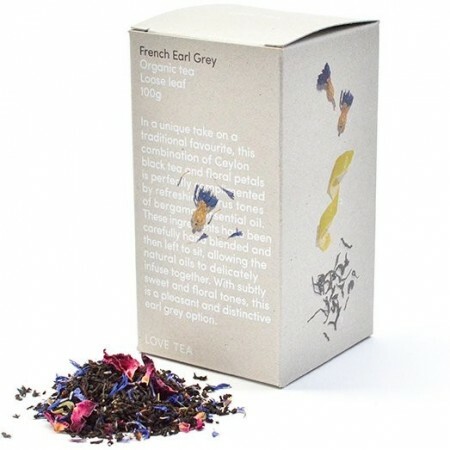 Certified Organic and Fair Trade Ceylon Black Tea, Rose, Wild Crafted Cornflower, Bergamot essential oils. One of my favourite tea, it can be hard to find sometimes. I just love the aroma and the subtle taste.